A dog breeder is defined as a person who raises and sells a specific breed of dog. A reputable dog breeder, on the other hand, is much more – this is a person who also loves the type of dog he or she raises, and wants to ensure that each dog is placed in a loving and caring home for its entire life. 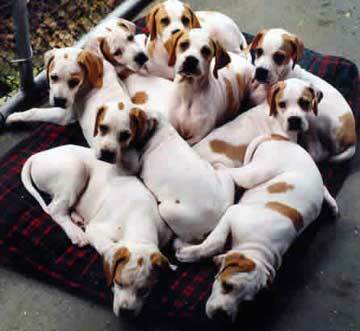 A reputable breeder should have years of experience raising and handling their specific breed. This person relies on his or her reputation to garner new and repeat business, and will be pleased to provide you with verifiable references from satisfied clients. This person loves each puppy, and wants to place every dog in a wonderful home. While doing research for this article, I thought it would be useful to find out what the legal requirements are to become a breeder in Victoria. Begin your search by asking family and friends who are already dog owners for referrals, not only to their breeders, but to their veterinarians and groomers as well. These professionals care for and handle dogs daily, and may be able to steer you towards reputable breeders and away from dishonest ones. 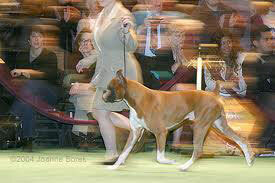 Plan to attend dog shows – another great resource. At these events, you have the opportunity to meet and talk to breeders, and hopefully find a few with whom you develop a good rapport. Breed-specific magazines, clubs, and on-line portals and directories offer breeder listings and contact information. These can be good starting points as well, as long as you to remember to look at them as advertisements and not endorsements. Once you have narrowed your search down to a few kennels, make sure to visit each one in person. When visiting, you should always meet the puppy’s mother (dam), and if possible, the father (sire). 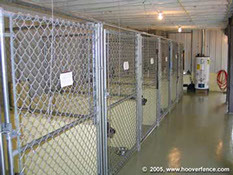 The sire is sometimes boarded at a different kennel, so this might not always be possible. Many unscrupulous people see big dollar signs by advertising themselves as breeders, when in fact they know very little about the breed they are selling or dogs in general. More sinister are those who run “puppy mills” (defined as an operation where puppies are repeatedly bred for profit, while kept in substandard, dangerous, and/or life-threatening situations), and should always be avoided. 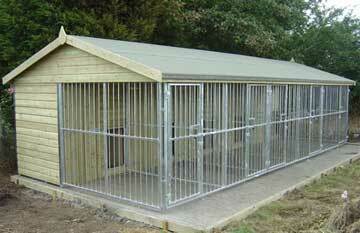 Look around carefully – are the kennels clean? Do the puppies look healthy (no runny noses or teary eyes)? Do the dogs look well fed? Do the dogs seem well socialized with other dogs and with people? There should only be one or two breeds at a kennel – if you see lots of different types of dogs at one kennel, and if you answered “no” to any of the above questions, turn around and leave. 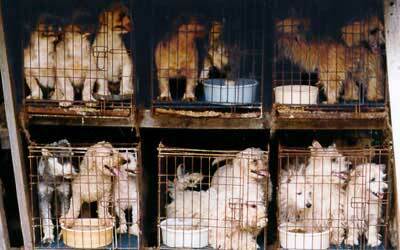 Chances are you are dealing with a puppy mill. Simply put, puppy mills exist because they can. Legislation is scarce, and enforcement of existing laws is uneven, with fines and legal consequences insufficient to discourage continuing operation. Never purchase a dog from a puppy mill, no matter how sorry you feel for the animal and its condition, as your dollars will only serve to produce more poorly-bred and sickly animals. File a report with your local humane society and police department, in order to shut down the operation completely. Did you know that many pet stores purchase their puppies from puppy mills operating across North America? No truly reputable breeder will wholesale his or her puppies to a retail store, period. Buy your puppy directly from a breeder, not from a store. During their formative months, puppies need their mother, room for exercise and play, and loving, human contact. The confines of a small cage in a pet store are not the place! If you want a healthy, well-adjusted pure-bred puppy, make sure your final choice is from a breeder who voluntarily adheres to the ethical guidelines put forward by a reputable breed club. Here are two examples: for Miniature Schnauzers and forGolden Retrievers. Encouraging legislation was passed in British Columbia when Richmond became the first municipality in Canada to ban the sale of puppies in pet stores. Read comments from the SPCA on this issue. Who will be the primary care giver for the dog? Do you have any children? If so, how old? Do any of your family members have allergies? A quality breeder takes pride in their clean, spacious, well lit kennels, and belongs to the Canadian Kennel Club and specific breed clubs. Is everyone out during the day (school and work), leaving the dog alone for hours at a time? How much time can you devote to exercise and grooming? What type of budget have you allocated for food, medical care, and grooming? What provisions have you made to keep the dog safe, such as a secure, fenced yard, or adequate shade and water supply if the dog will be left outdoors for extended periods? A reputable breeder should not release a puppy to you before it is at least 6 weeks old – and preferably between 8 -12 weeks. If someone is offering to sell you a very young puppy, steer clear – chances are you will get an animal without proper medical care or one that has not been properly socialized. A quality breeder considers improving the breed to be their top priority, and regularly displays their results in conformation shows, obedience trials and other competitive events. A purebred puppy must be identified as such prior to leaving the breeder’s kennel. The only legal forms of identification are either a Canadian Standard microchip transponder or a tattoo, visible to the naked eye. The breeder must be able to verify that the microchip number listed on your sales receipt matches that of your dog by using an electronic scanner to scan the dog – make sure the breeder verifies the dog’s ID number before you leave the kennel! Don’t confuse pedigree papers with registration papers! Your puppy’s pedigree is not a distinction that your dog is any handsomer, smarter, or more agile than any other dog (and therefore worth more money). Pedigree is merely a word that means” lineage” or “ancestry” – the name of your puppy’s parents, their breed, date of birth, and breeder’s name and address, traced back several generations. You should already know your puppy’s pedigree from discussions with the breeder, and from seeing the dam (and hopefully the sire), and this information should be included on your written sales invoice. Registration papers show that your puppy’s parents were themselves purebred and registered with a kennel club. Remember, the breeder registers the litter – and depending on the breeder, it may be your responsibility to register your individual puppy and pay the required registration fee. These papers should be given to you by the breeder at the time of sale. Your new puppy will come to you from a reputable breeder full of boundless energy and in robust health, excited to become part of its new family. 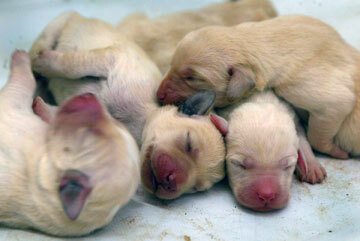 Remember that as the puppy matures, you can always call the breeder for more information and guidance. When all concerned parties work together, your puppy will have every opportunity to live a long and happy life, and provide you with many, many years of joy, love, and devotion.